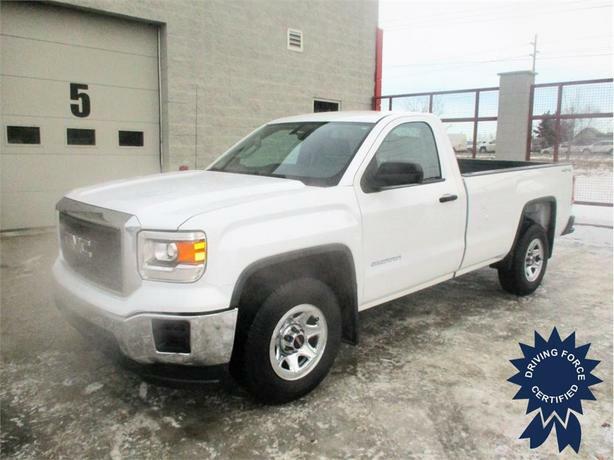 This nicely equipped 2014 GMC Sierra 1500 Regular Cab 4WD Long Box won't last long. Features include a 4.3L V6 engine, chrome wheels, chrome bumpers, chrome grill, cloth seats, Bluetooth calling, easy clean vinyl floor, mud flaps, 8ft box with spray-in bed liner, balance of factory warranty, clean CarProof vehicle history report, and much more. Call or email one of our knowledgeable fleet sales consultants in Calgary today and experience the DRIVING FORCE difference.